“Jill and I read as much as we could on the internet…[but] do not get obsessed with the internet. There is much misinformation on the internet, so do not get too caught up in that information. 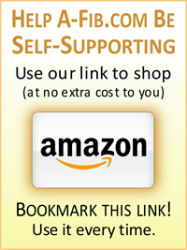 “I was so desperate for answers I started searching on-line. My jaw hit the table. [She said to herself…] ‘How could my physicians not explain these things to me?’ Once I was able to really comprehend my future, I was able to make things happen. 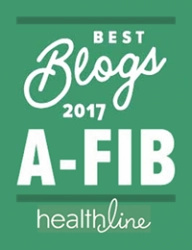 It’s encouraging to read how someone else has dealt with their A-Fib. 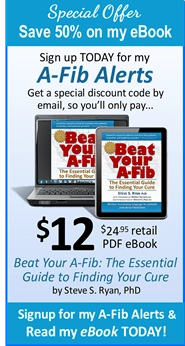 These A-Fib patients have been where you are right now. 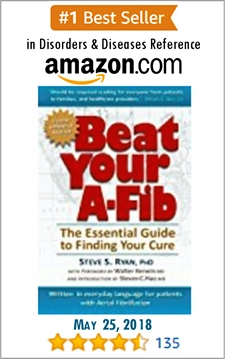 They tell their stories to help bolster your determination to seek a life free of A-Fib. 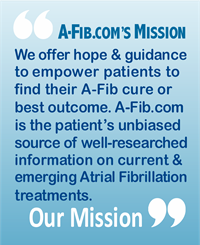 For more personal experiences, go to Personal A-Fib Stories of Hope and Encouragement. 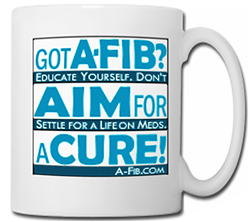 Become Your Own Best Patient Advocate!